Emily the abandoned greyhound. Photo by the Irish Sun. For years Ireland has been at the epicenter of a massive greyhound welfare problem. Thousands of greyhound are bred each year in the Republic, and many are sent to compete at British racetracks. Nearly 54,000 Irish bred greyhounds were shipped to British racetracks between 2006 and 2013, and the ultimate fate for many of these dogs is unknown. "We have a large number of young greyhounds that, in the nature of things, are perhaps not handled much, not very socialised and not house trained. In many cases, they do not make good pets. There are a large number of them, and what are we to do with them?" "The question of overproduction is a particular issue for greyhound racing. A horse produces a single foal every year; a dog can produce a litter of pups every two months. It is much cheaper to maintain a dog until establishing if it can run fast, so the more produced, the more chance of a good runner ... They can’t all run fast, and the slow ones, and old ones, aren’t all rehomed. So where do they end up? Some will tell you plenty of animals don’t make it to registration in the first place. Of those that do, some are sold and exported, and some unwanted animals get rehomed. Others are, to use the anodyne phrase, 'euthanised' in a proper and professional manner. But those involved in welfare still talk of thousands 'disappearing' each year, with all the sinister connotations implicit in that word." There certainly are greyhounds that suffer greatly in Ireland after being discarded by the racing industry. 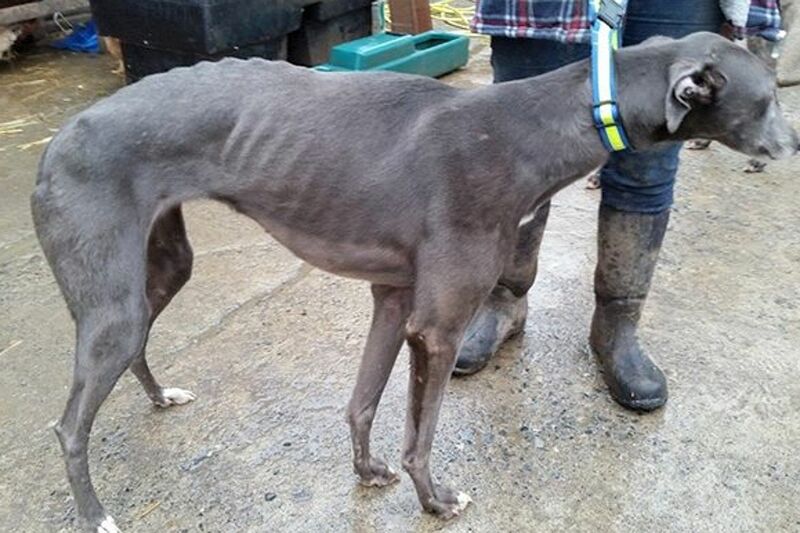 In January, an emaciated dog named Emily was dumped in a ditch in County Tipperary after having her racing tattoos burned out with acid and her tailed hacked off. Incredibly, she survived her ordeal. 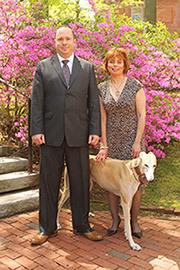 Enter the Irish Greyhound Board (IGB). Rather than address this serious problem, the industry promoter has released a plan that will make things worse. It has earmarked 250,000 Euros in new funding for a "breeders incentive scheme" as part of a a total industry support plan worth 700,000 Euros. Meanwhile, no new funding whatsoever has been allocated for greyhound welfare. Ironically, this new breeders incentive scheme was announced shortly after a legislative report identified problems with the current Irish stud book, including "ongoing issues concerning the breeding of greyhounds with dogs which were dead for two years or more." This is a serious miscalculation by the Board. It will not only cause the death of dogs, it will harm the industry in the long run. Rather than ramp up breeding, industry promoters in Ireland should follow their colleagues in Australia, who are decreasing breeding as part of an overall animal welfare plan. There is more than one issue going on here to make matters worse greyhounds are being exported to Asia from Ireland despite an export ban do anyone at the IGB have any clue what that means in terms of suffering for the greyhounds? Then the idea that young greyhounds that show no potential as racers don´t make good pets now that is a load of rubbish and this can be improved by handling the puppies from an early age as with other breeds of dogs especially around seven and nine weeks of age during that time you can vastly improve the potential for every greyhound to becomeeasy to handle and easy to rehome as pets thus cutting down on the numbers killed because they are too slow and not good enough. Stop the overbreeding pull up your socks breeders tidy up in the IGB this can be done with a minimum of effort. For the love of greyhounds it is high time you lot do something for them instead of making things worse for the greyhounds.Do not export any more greyhounds to Asia. Three sneaked out and thus exported to Asia is three too many this has to stop. I agree totally. And don't forget all the poor irish greyhounds that are also exported to Spain where they are treated horrendously.